Common Man Classic Employing light to medium pressure, this Swedish-style massage is ideal to increase circulation, relieve tension and promote relaxation. Uncommon Aromatherapy Enjoy our C-MAN classic massage with the addition of customized essential oils targeted to your needs. A delightful antidote to stress! White Birch Wrap Massage Designed exclusively for The Spa by a local herbalist to represent the Inn’s history as a birch wood mill, this signature treatment includes three services for total relaxation and revitalization of the body and mind. Your treatment begins with an herbal warm-up in the sauna followed by the application of warm wraps soaked in a detoxifying, beneficial elixir made up of 8 New Hampshire herbs. While you relax in your wraps, you’ll receive a face and scalp massage. The treatment is completed with a full-body massage using a custom-blend herbal oil. Upgrade your massage to a deep-tissue for $15. Ask about our custom 30-minute massages! Destressor This concentrated massage focuses on the back, neck and shoulders to release tension. (Please note, this is not a full-body massage). Deep Tissue Utilizing individual massage techniques, this personalized, medium to deep pressure massage, focuses on relieving muscle tension. Optimize your results by adding one of our therapeutic massage enhancements. 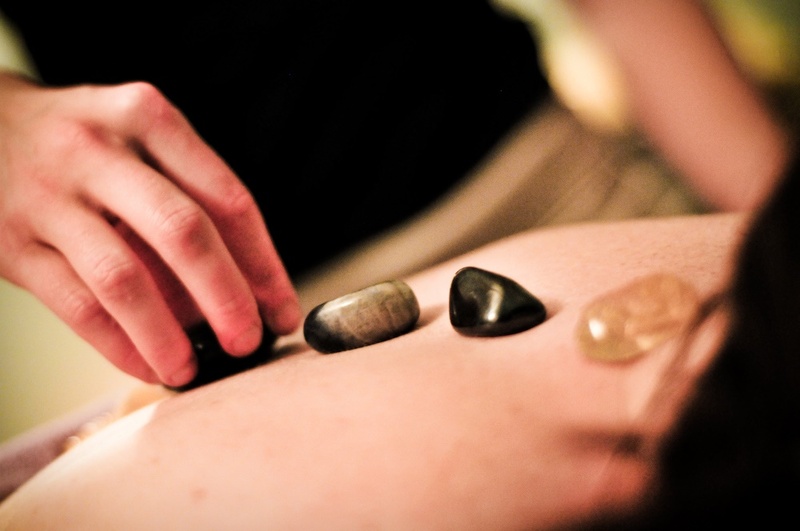 Hot Stone This luxurious massage utilizes natural tools from Mother Nature. Warm stones are placed strategically under and on your body for complete relaxation while your therapist incorporates warm stones into a full- body massage. Feel your muscles melt and your tension disappear. Pregnancy Massage This massage is specifically tailored to the expectant mother’s needs. Proper positioning and support ensures comfort and safety for the mother and baby. Raindrop This full-body massage utilizes twelve specific essential oils placed along the spine to aid in deep relaxation and the release of muscle tension. Moist heat is applied to the back and special attention is given to the back and feet, allowing the therapeutic properties of the oils to circulate through the body. Great for chronic back problems. Bamboo In China, stalks of bamboo still symbolize eternal youth, strength, prosperity and peace. Enjoy this full-body massage utilizing warm bamboo sticks to promote circulation and lymphatic drainage allowing you to experience a deep sense of relaxation and well-being. Custom Spa Massage Utilizing techniques specific to your areas of concern, your therapist will customize a treatment just for you. Adjusting pressure and using tools to aid in optimal benefits, this massage will allow you to receive the treatment you have been waiting for! Choose up to three different types of modalities to enhance your experience: Scalp massage; hot stones; aromatherapy; back scrub; or self-heating mud pack. Hand and Feet For those who don’t want the full body massaged! Focuses are from the elbows and knees to the fingers and toes. Leave feeling “extremity” good! Cool and Fit Leg focus only, using our Biofreeze professional product, aimed to reduce inflammation and lactic acid while prepping the legs for the following day’s activities. We use light to medium pressure, hot stones, passive stretch techniques, accompanied with the cooling Biofreeze. Great for all our outdoor warriors! Birch Wrap Express Our signature mini! Local New Hampshire herbs are combined to create a detoxifying elixir. Enjoy layers of warmth, soaked in our herbal elixir and wrapped around your body while you receive gen-tle face, neck and scalp massage. A quick, healthy detox! What is Self-Heating Mud? Our Self-Heating Mud is a freeze-dried seaweed that aids in promoting deep-tissue detoxification and remineralization. It can be applied to problem areas, or to the feet or back for instant relaxation and is a beneficial enhancement to any massage or facial. Book your soothing massage experience today! Call 1-866-theCman or (603) 238-2845. Advanced reservations are recommended and suggested.